Have you ever encountered a sportsbooks term that you were unfamiliar with? While sportsbooks are pretty easy to bet at, there are a lot of words that can almost look like a different language to a new sports bettor. 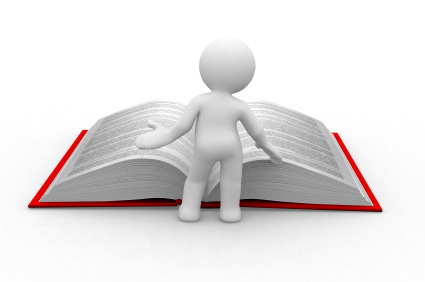 We have a list of the common sportsbooks terms and definitions that should help you understand. Betting or wagering on a sports event. An overview of the best methods to mathematically predict bets in every situation given the sport at an online sportsbook. A basic strategy guide will give a bettor tips on what to do, given the team and player information. However, it will not guarantee a higher accuracy, as done with betting systems. This is a process in which a bettor uses specific, already calculated statistics and inputs them into a previously proven method or system. The bettor can adjust the information based on the different sports statistics, which can change and tilt the odds in favor of the sportsbook. However, betting systems can also make adjustments when using straight bets, prop bets, or even to basic strategy bets based on the odds at the sportsbook. These adjustments can leave the bettor with an advantage over the sportsbooks. Betting systems are not illegal, but sports are unpredictable so no system is 100% accurate when betting sportsbooks. Betting systems cannot be used on bets that continuously change the odds, such as in most online sportsbooks live betting feature. A tied event. When a bet ends in a tie, depending on the sportsbooks rules, the bettor may get their money back as no clear winner was made. A type of bet made on a sporting event whose outcome will be determined sometime in the future. The listed odds, points, straight bet or spread bet for any given event. Betting on a specific sports game during live play. A common technique used by sports bettors to double their chances of winning, while halving the amount of risk. Sportsbooks analysis of the chance a team or player has of winning the event. The point spread is a type of straight bet, with an added level of difficulty. The bettor needs to pick which team will win the game, as well as whether or not the favorite can win by a certain amount of points; usually a number placed beside the odds. Side bets that have an end result; focused more specifically on sports details. A betting establishment that sets odds and accepts bets on sporting events, also known as book. The most normal wager you can make at a sportsbook. It is a bet on which team will win the game. A bet that is in favor of the sportsbook in an overwhelming manner, where they will make money regardless of the outcome. A type of straight bet where a sports bettor places a wager on how many points he predicts the game will end with. The other common name for this bet is Over/Under; which means your bet is that the total points scored will be under or over the number given at the sportsbook. Bet refers to the team or player that starts in a handicap; has lower odds of winning.